Microsoft has launched a software patch for Surface RT owners whose tablets were rendered useless following problems installing the new Windows RT 8.1 update. The software giant was forced to take down the update this weekend, citing an unspecified 'situation,' amid reports it was bricking some Surface RT tablets. Today Microsoft released a statement, claiming the issue only affected 1 in 1,000 who attempted to install the update, which arrived just last week promising to remedy a host of perceived flaws. The company has "made recovery media available to download" alongside the instructions for restoring the tablets back to its Windows RT. Significantly, the issue is yet to be resolved as Microsoft has stopped short of making the 8.1 update available for download again. What was all that one in a thousand talk? In its statement, Microsoft wrote: "Based on our investigations of a situation customers have encountered updating to Windows RT 8.1, we can confirm that as of now this is a Windows update issue only affecting Surface RT customers. "While only less than 1 out of every 1,000 (or less than 0.1%) Surface RT customers who have installed Windows RT 8.1 have been impacted, improving their experience and ensuring their systems are fully operable as quickly as possible is our number one priority. "We have made recovery media available for download along with actionable guidance for affected customers. We continue to work towards making the Windows RT 8.1 update available in the Windows Store again and apologise for any inconvenience. Further updates will be provided as they become available." The Windows RT 8.1 snafu was probably the worst case scenario for Microsoft as it seeks to rescue the tablet-friendly OS from the bring of obscurity. 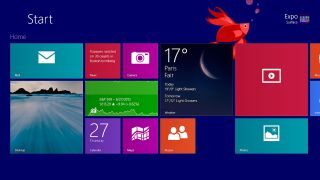 The company has been urged by its hardware partners to drop the OS completely, while manufacturers have all but abandoned the platform to focus on full-fat Windows 8 devices.